The Kooks cannot wait to play their new songs at the Isle of Wight festival this summer. After two years away, the 'Naive' rockers are back with new album 'Best of... So Far', which features a number of classic songs as well new singles 'Be Who You Are' and 'Broken Vow', and they are looking forward to rocking up to the iconic music extravaganza this June for the third time. 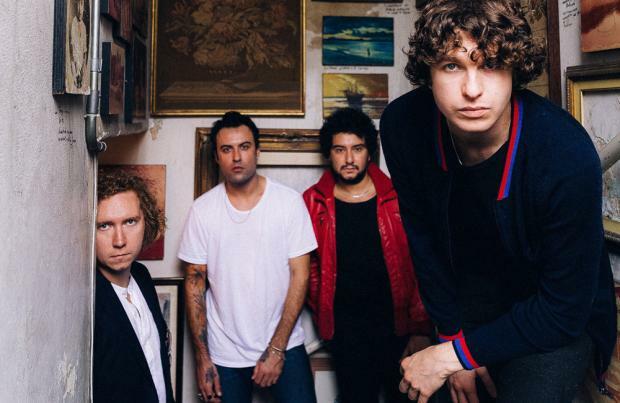 Asked which festival he's looking forward to the most, frontman Luke Pritchard exclusively to BANG Showbiz: "The Isle of Wight festival will be very cool. I don't really know. We get in the bus and we get told where we are playing. They will all be great." The alternative band are currently on a UK tour promoting the record - released on May 19 - and it sold out in a week. On why he thinks that is, he said: "I think that we constantly surprise people. We have amazing support from our fans. "It's pretty crazy when you haven't realised an album but people still come out to see us. We may not be releasing a brand new album but we do have a new single. "We now have a younger audience coming to us." Formed in 2004, The Kooks had a successful debut album 'Inside In/Inside Out', which won Best UK and Ireland Act at the MTV Awards in 2006. Luke described the success as both a "blessing and a curse" but the tour and new album is a celebration of the old songs. He said: "It's a blessing and curse. We can't be too annoyed by it. When everyone is comparing your old work to your new record, because it was so well-received, you want to break free of that. "We made a great record and it's cool that people still dig it. And that's why we are doing the Best Of tour. "We're celebrating the old songs. It was pretty great." The Isle of Wight festival is held on June 8 to June 11 at Seaclose Park in Newport.